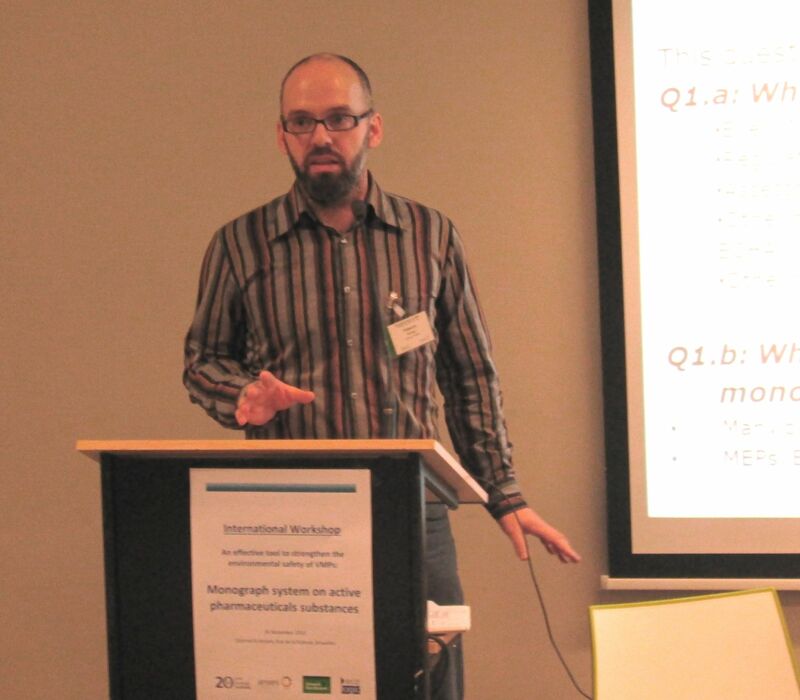 On 26 November 2014 Rodrigo Vidaurre and Lucas Porsch held a presentation and prepared a workshop on the issue of "Establishing an Environmental Monograph System for Veterinary Medicinal Products". Further documents are available for download. What are the benefits of a monograph system? How could a monograph system be designed? How could a monograph system on active pharmaceutical substances be implemented into the legislative framework? From an environmental perspective, a key question concerning the current revision of the Veterinary Medicinal Products Directive (Directive 2001/82/EC) is its requirements to generate and make public data on the environmental behaviour of veterinary drugs. The latest proposal of the EU Commission contains some minor improvements on the availability of environmental information for generic veterinary products - however, other very significant information gaps are not addressed. In particular, the problem of "old" medicinal products – products that were authorized before the current requirement for an environmental assessment, and for which little environmental information is available – is not addressed in this proposal.